As recently as 2004, art history lectures were regularly delivered with the aid of slide projectors. The beckoning of “next on the left, please” to the rear projection room and the occasional upside-down image (the red dot must be on the bottom right!) had their charm. But PowerPoint offered functionalities like archiving presentations or labeling images with captions. As a tech-savvy business-school student at Wharton, I sought to bring Penn’s art history faculty up to speed with the latest in digital technology. But I was not prepared to respond to the librarian who worried over the fate of her slide collections. Where the she saw loss, I saw new opportunities. Indeed, the implications of my tutorial would manifest at a faster pace than anyone could have imagined. I was reminded by this experience when I recently stumbled upon an exhibition entitled “Framed Transformations” at Columbia’s Avery Library. The transformation in our discipline to which I just referred and in which I played an active part, is here framed, exhibited as a relic of a bygone era. Arrayed in a grid, an assortment of glass slides are affixed to an armature behind a clear lucite vitrine. They have been transformed into art. Slides in name only, they have become aesthetic curiosities rather than mechanical tools for projection. “Framed Transformations” is proof positive that the slide library is beyond obsolesced; it’s historicized, memorialized even. Avery is but one case in many: it now possesses a Visual Resources Center. Many justifiably lament the death of the physical slide, which is only exemplary of a general phasing out of analog media. Some speak of the broader crisis of objecthood. We live in an increasingly “weightless economy” in which manufacturing has been decoupled from consumerism, where commodities are repackaged into intangible assets. The digital has taken a toll on our conscience. A reformed Silicon Valley startup magnate recently preached: “When you work on the Web, so much of what you do is abstract, ethereal. I like charity because there’s a there there. There’s a real desire to have meaning, something you can touch, measure, seek—that exists.” For academics, perhaps the greatest question mark looming over our future is the digital classroom. How will art history, with its need for pedagogical aids, adapt to MOOCs? Is there a limit to pedagogy without physical presence? My outlook is less grim. The offspring of an art lover and mechanical engineer, I have long appreciated the role of technology in the production, consumption, and teaching of art. In fact, the discipline of art history has always depended on and responded to technological advances in the reproduction of original artworks—from on-site sketches to plaster casts and photography. 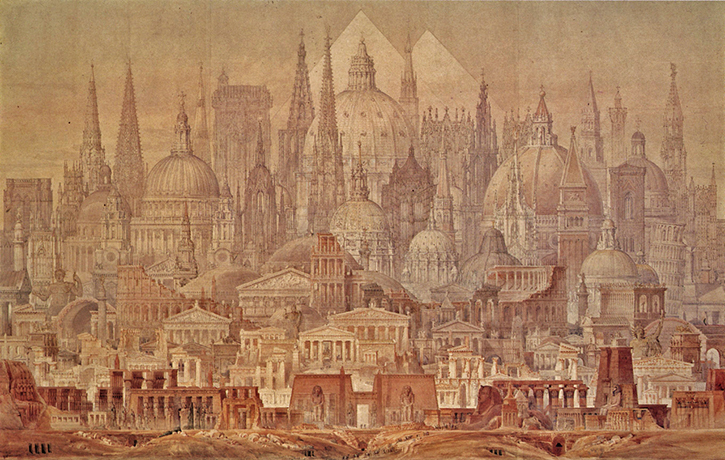 A favorite early solution of mine comes from Charles Robert Cockerell, who in 1848 painted the 14′ x 10′ drop-scene he called The Professor’s Dream, so-named because it encompasses the canon of Western architecture and thus could be consulted regularly along the chronological trajectory of his lessons (The great pyramids at Cheops, then the tallest structures on Earth, loom in the background over St Peter’s!) Permitting the technology of slide projection around 1900, still photography also became the bedrock for a new, rigorously empirical brand of scholarship (a la Morelli and Berenson). But it came at a price for three-dimensional works and architecture; hence the groundbreaking work of Stephen Murray, whose spatial photography showed us that buildings operate as an integrated whole of stone, metal, glass, textiles—with people doing things inside! Already, we have advanced past digitization and are well into the next wave of the mobile. My finger always on the pulse of technology, I have developed an app to simplify creating, showing, and sharing slide presentations of high-res images on the iPad. 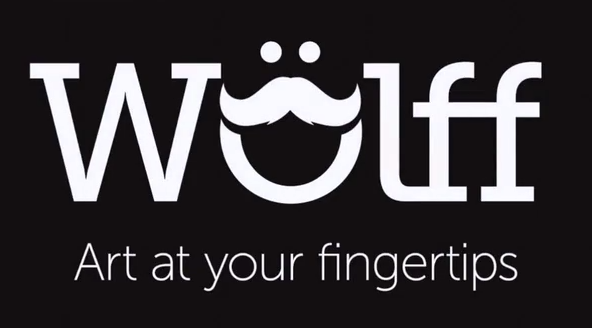 Nicknamed for the Swiss formalist Heinrich Wölfflin, who first popularized the two-slide format slide lecture, Wölff embraces the tactile aspects of handling “tangible” images on tablets’ touch screens; now we can pan, pinch and zoom with our finger tips rather than with a disembodied mouse cursor. 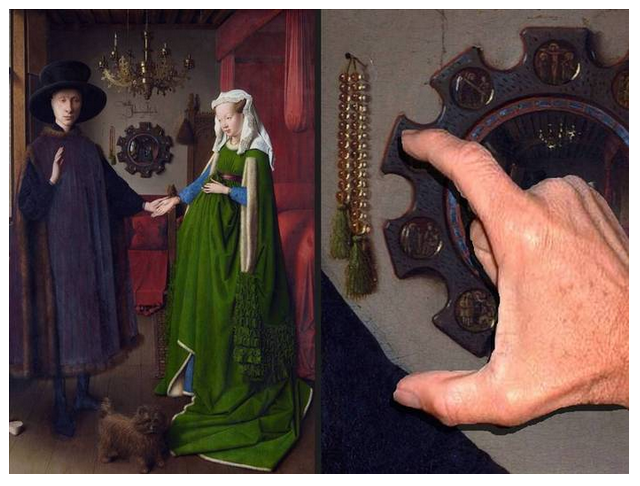 And with the proliferation of high-resolution reproductions, we are arguably “closer” to the original than ever before, as the project “Closer to Van Eyck” shows—an achievement that would befuddle both Walter Benjamin and André Malraux. Just as the digital coincided with an urge to address space and performance, perhaps the mobile and the high-definition have a hand in the current moment of “the material.” To borrow the words of Michael Yonan, “the more spectral the image becomes, the more we obsess over its materiality.” What the web entrepreneur found in charity perhaps we (scholars and students!) will find in the democratization of high quality images: materials, forms, construction—the there there.